Farm tractors are extensively used in farming and agriculture to improve agricultural productivity by performing ploughing, hauling and harvesting. Global farm tractors market witnessing decline in sales after booming market in 2013. Major market players are now focusing towards to enter untapped markets and to provide farmers with more economical agriculture tractors. China and India are the two major markets that accounts for more than 50% sales of tractors in global farm tractors market. Domestic players of China and India are planning to expand their business globally and to grab the piece of profit from USD 150 billion global tractors and equipment market. For instance, Mahindra & Mahindra, India based farm and agriculture equipments manufacturer started to expand its business globally. M&M acquisition of stake in Mitsubishi Agri by spending USD 40 million in 2015 gave it a presence in Japan. Acquisition of 35% stake in Finnish harvest Sampo Rosenlew and 75% of Turkey's Hisarlas in 2016 has marked the presence of M&M in global market. M&M has already started tractor manufacturing business in huge competitive countries such as China, Japan and the United States, and is geared up to enter huge opportunity in the market of Mexico and Brazil. Major global players such as AGCO Corp. and Deere & Company are facing decline in sales of tractors in their major markets of Europe and America. Growing Population and rising demand for food crops is expected to bolster the demand for agricultural equipments and tractors in coming years. Grain Production expected to remains stable at 2 billion tonnes which is likely to impact the sales of tractors for the third year in succession. The largest producer of crops is European Union, followed by China and U.S. The largest crop producing countries are witnessing declining sales of agriculture equipments as a result of slow economy growth in past few years. According to estimates of VDMA agriculture machinery association, global agriculture and farm equipments market accounted of USD 137 billion in 2015 and slight decline of 3% has been witnessed in year 2016. On the other hand, compact tractors are gaining traction in agriculture field as well as in urban areas owing to their versatility to perform various tasks such as mowing, tilling gardens and cargo logistic in manufacturing industry. Moreover, growing population and consequently rising demand for food will led the farmers to equip themselves with advanced mechanized farming techniques. That results in slight growth in demand for agriculture tractors in turkey and North America. Governments across the globe are providing various monetary and non-monetary benefits to farmers such as subsidies on purchase of seeds, fertilizers and farm equipments. 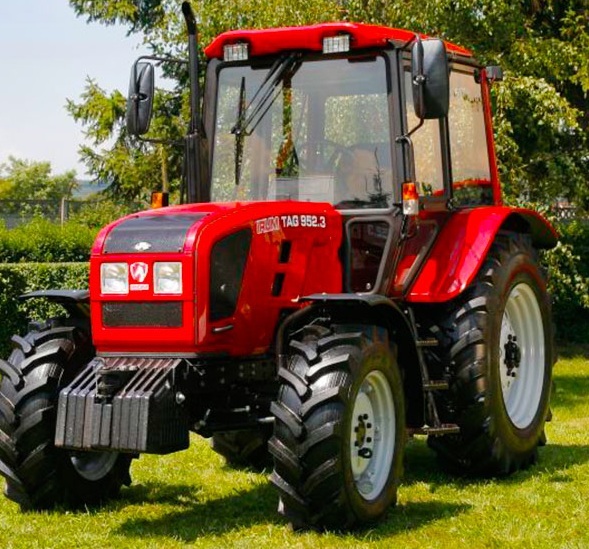 Rising expenditure of governments to improve agricultural sector and rising expenditures over agricultural technologies are expected to bolster the agricultural tractor market. However, high capital and operational costs are the major factors that hinder the adoption of farm tractors by small farmers. Development of cost effective and fuel efficient agriculture tractors are essential for the manufacturers to tap the overall global demand. Global farm tractors market accounted for more than USD 60.0 billion in 2016 and the market is expected to reach USD 69.3 billion by the end of 2024. Further, the market is anticipated to expand at a compound annual growth rate of 1.8% over the forecast period i.e. 2016-2024. The forecast is entirely based on the agriculture industry and factors that are adversely affecting the agriculture industry such as declines in general economy, rising farm input costs and lower commodity prices. Geographically, Asia-Pacific region dominates the global farm tractors market and expected to dominate the market over the forecast period owing to growing commercial farming activities in the region. Globally, China and India alone accounted for the more than 50% sales of tractors in 2015. Asia-Pacific region is followed by the North America with more than 3% increase in sales of farm tractors in year 2015. Europe is the largest producer of crops yet witnessing decline in sales of farm tractors, with recorded 8% decreased sales in 2015.